If you are an iPhone user and have a vehicle with a check engine light on a small low-cost device can be bought to tell you what the problem is. It is called an OBDII adapter and can talk to a car or trucks onboard computer and display the problem on an iPhone. The onboard computer in a car or truck monitors the engine and transmission for any problems and will give and error in the form of a check engine light when there is a problem. Every car built since 1996 has what is called a OBDII port that is a plug which allows communication to a cars on-board computer. The error codes can be read with a OBD2 scan tool that many mechanics use but there are also cheap Bluetooth WiFi OBD2 dongles that will communicate with and iPhone and display the error code. 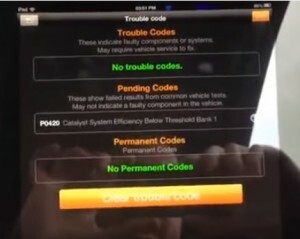 There are several OBD2 dongles that will show these error codes along with clearing them and other information. 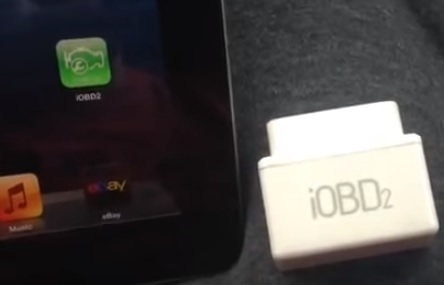 Here is one such OBD2 iPhone dongle on Amazon. These small dongles are low-cost and easy way to use an iPhone to help you diagnose problems with your car. They can also give you more information about the problem with a vehicle before taking it to a mechanic. This can go a long way in knowing what the mechanic is stating is true or not. For example if such a tool is used and it gives an error code showing it has a bad oxygen sensor than doing research online in the forums or YouTube videos will give insight into what the problem is and how to go about fixing it. Many DIY type individuals likely may want to fix the problem themselves especially if it is and easy fix. For those who do go to a mechanic they will have the information needed to know if a mechanic is adding items that dont need fixing. Even researching the cost for such a fix can be done before approaching a mechanic. There are also other features that many of these scan tools can do such as showing mileage, tracking a vehicles previous locations and so on. The added features can vary from tool to tool but usually depends on the app that is installed. There are many apps available to read the information both paid and free. Most tools will include a app for free when one is bought. If you want to use your iPhone or even iPod touch as a way to monitor your engine and troubleshoot why the engine light suddenly came on a low cost OBD2 dongle is a good option.